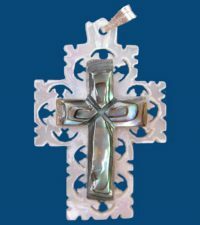 DescriptionA very lovely cross with a dainty look that is certain to please anyone on your list, this small filigree cross is made from mother of pearl that is imported to the Holy Land from Australia. 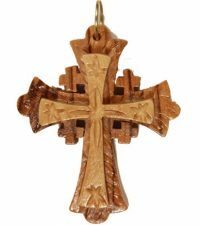 Carefully crafted by skilled craftsmen who use as many as 1,000 strokes to complete a single cross, this is an amazing gift that will be enjoyed for a lifetime. 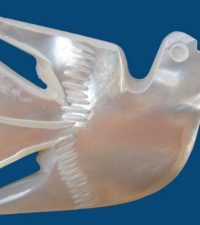 Much less expensive than precious metal, but just as beautiful, and even more meaningful, thanks to the intensive labor that goes into producing each unique piece, this is one of the most popular Christian gifts we carry. 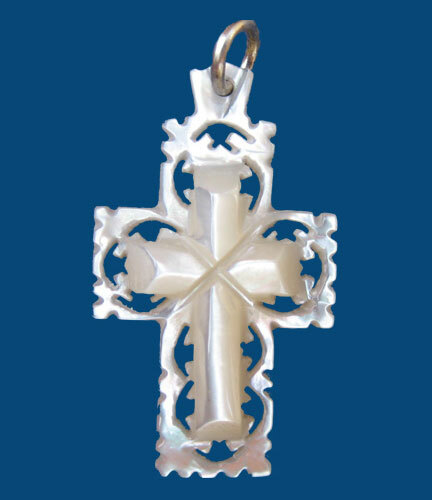 Share your love of God with someone special, or enjoy wearing this unique piece yourself. 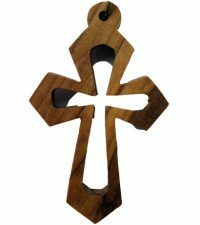 Categories: Crosses, Religious Jewelry for Women and Girls for all Occasions.